Why settle for boring little dolls and animals when you could have weird friends like these? Whether it's a disease, an alien, a monster, or just a weird shape representing an abstract thought, plushes aren't just based in reality anymore. Reshape your expectations of bed buddies with these cozy and kind of confusing toys. Let the kids learn about human anatomy and horror films with this dual purpose zombie toy. 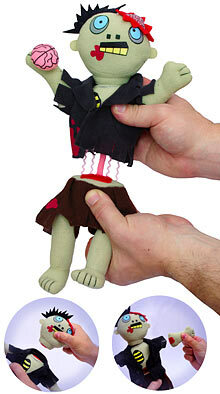 The Dismember-Me Plush Zombie is both cuddly and stress-relieving at the same time. With his easily ripped up body, he'd be a great gift for the destructive child in your life. And who doesn't love giving their kids a toys with tons of easily lost parts? Just beware he doesn't come back to life and eat all your other plush friends in the middle of the night. Giant Microbes are some of the most unique stuffed critters around. How else can you give your friends herpes, gonorrhea and chicken pox without having some major explaining to do. Personally, I love these guys -I have Chlamydia, AIDs and Rabies at home. They make quite the cuddly, disease-ridden trio on top of my television. Unlike the first two items on this list, these Kimochi Emotion Dolls are totally sweet, on top of being cuddly. 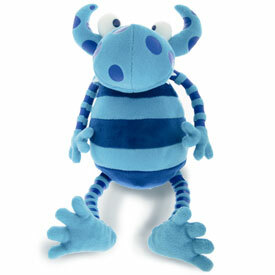 Any one of the four basic critters also comes with 9 little buddies to help them explain their emotions. Whether you have a husband with a problem expressing himself or a youngster trying to understand the meanings of different emotions, this is a perfect gift. Need to teach your kids why it's ok to eat animals before they grow up to be a vegetarian solely because it's trendy? The Food Chain Friends have you covered in the cutest of ways. Both the Alpha and Beta series are equally weird and cute. While these friends come from Daro, a planet similar to the way Earth was 200 million years ago, it doesn't change the fact that even on Earth, cute critters need to eat each other to survive. Animals eat other animals, it's a fact of nature. What has been fabricated here (excuse the pun) is the absolutely adorable manner they do it. If only lions ripping apart a dead zebra were so cuddly. If you're little one is afraid of the monsters under his bed and telling him they don't exist doesn't help, why not try a new approach? Why not just show your angel that monsters aren't so bad after all. 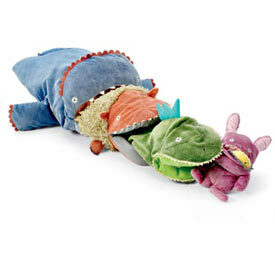 The Not So Scary Monsters are even, dare I say it, cute. There's Egbert with his silly, long stripped legs. Then you have wacky little Wilf and jolly little Polly. How could anyone be afraid of these little creatures? Want A New Way To Crack Nuts? Adorable, I love toys that are unique and educational. It's hard to find toys that children don't already own 50 variations of. Thought I have to be honest, I might like some of these for me as well. for myself. Personally, I think they look fun.